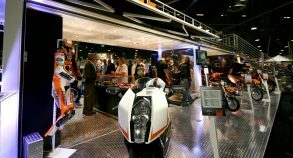 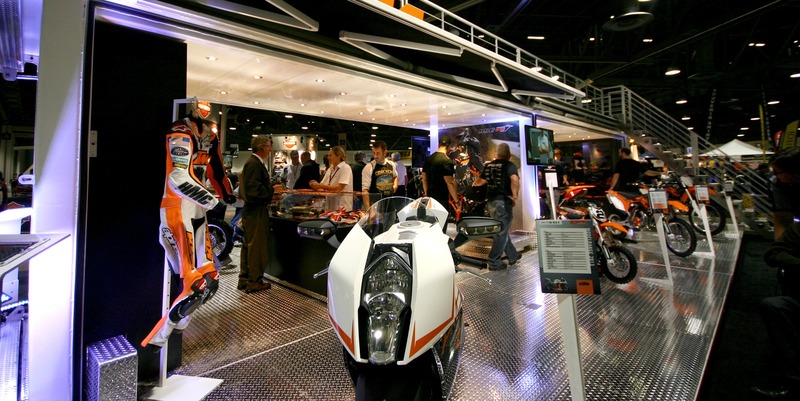 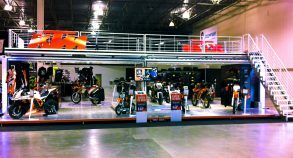 KTM, an Austrian motorcycle and sports car manufacturer, worked with Steel Space Concepts to create a modern and sleek space to showcase their motorcycles, accessories, parts and clothing during indoor and outdoor activations. 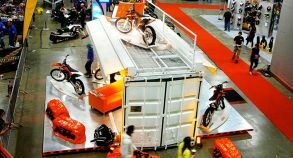 Fully branded SS20 and SS40 units were used for this project. 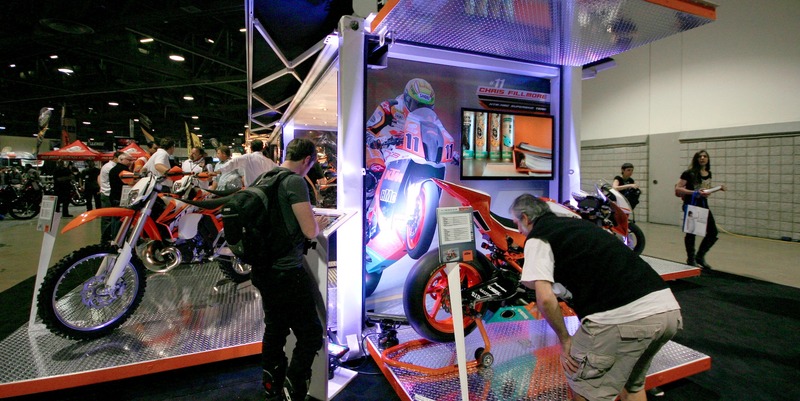 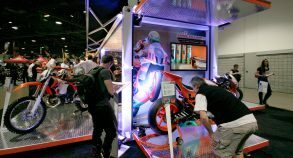 When setup indoors during tradeshows, chairs and sofas, as well as a giant screen which projected videos of motocross races, were installed inside the unit. 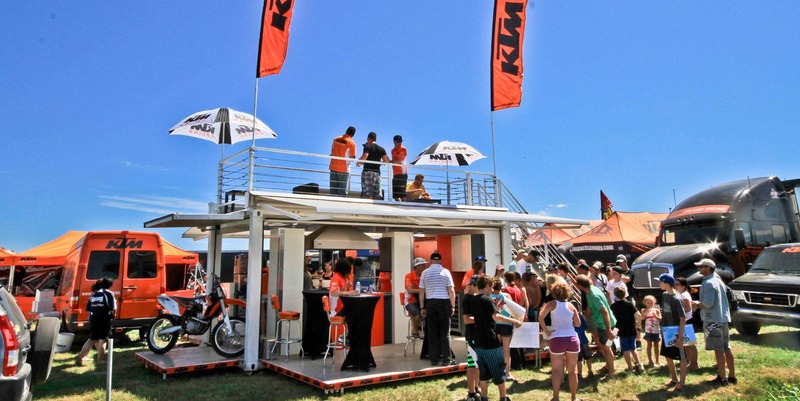 Fast and easy to set up, these units were the ideal solution for outdoor events. 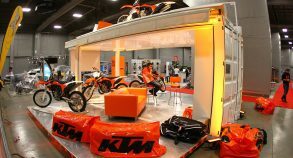 During outdoor activations, a drink station and resting area were added, so visitors could enjoy refreshing drinks and relax while admiring the various motorcycle models. 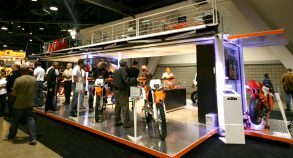 Once fully deployed, the unit was also equipped with a mezzanine level viewing deck which offered clients a great view of the site, as well as cocktail tables, chairs and umbrellas. 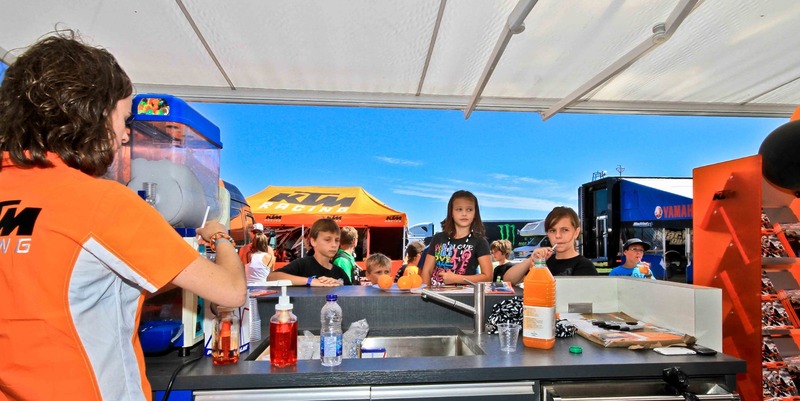 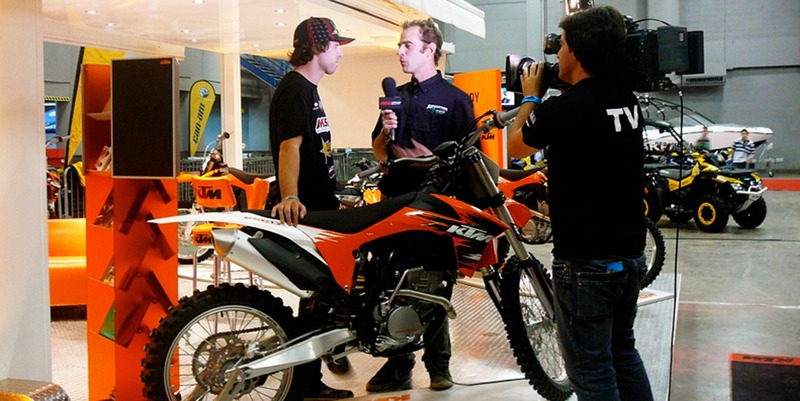 Famous motocross racers also held autograph sessions and TV interviews inside the units. 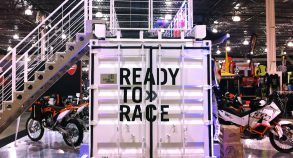 Built for performance and ease-of-use, these modified shipping containers transform into fully functional and versatile promotional units at the push of a button. 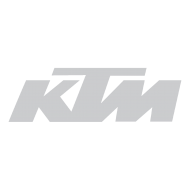 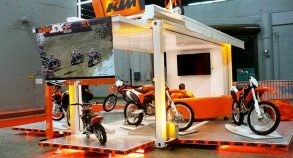 Their architecture allows for virtually limitless location flexibility which enabled KTM to use their units indoors as well as outdoors. 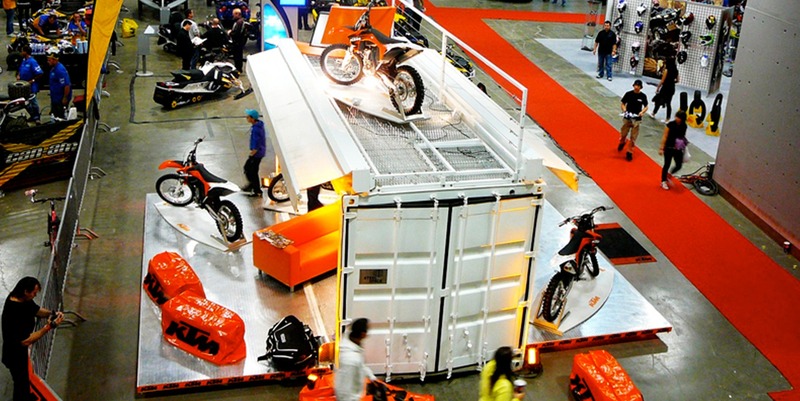 The containers’ flexible structural configurations allow installation of ramps to facilitate entry of the motorcycles and hook systems on the floor ensure safe transportation of the bikes. 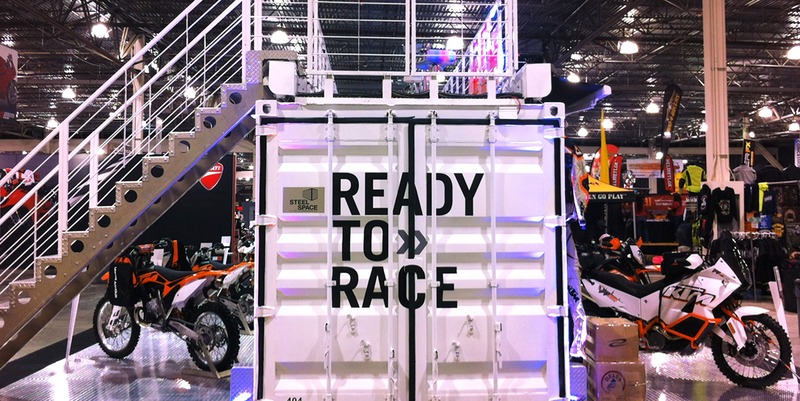 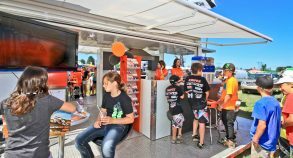 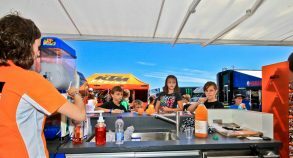 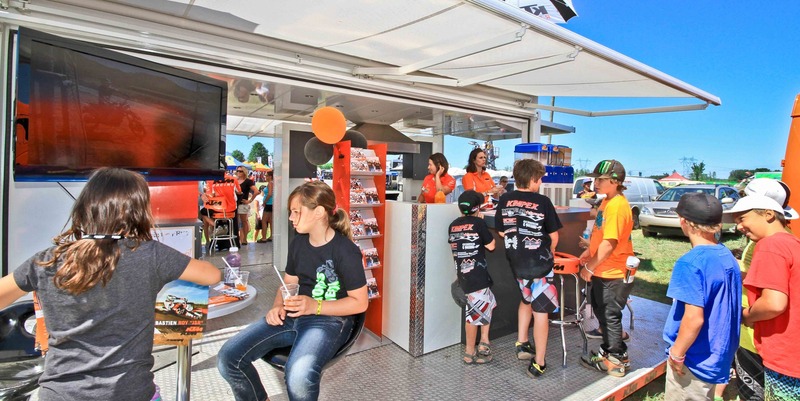 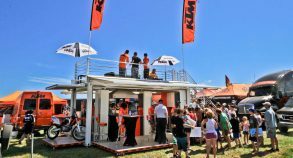 Converted shipping containers also make excellent storage facilities for any type of product such as the various accessories, parts and clothing gear that KTM transports to each of their events. 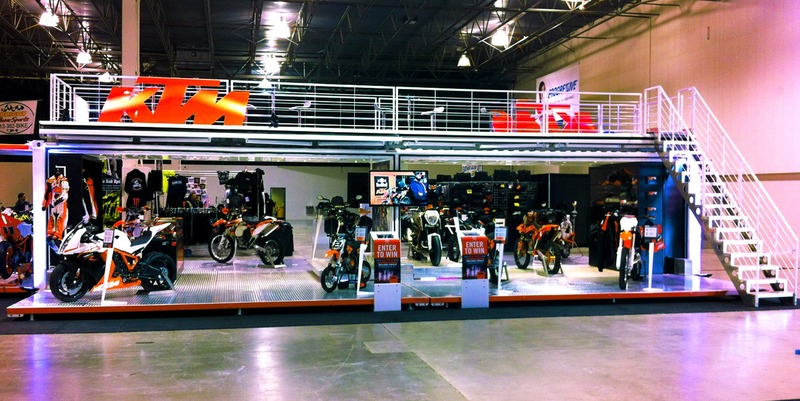 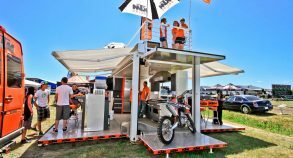 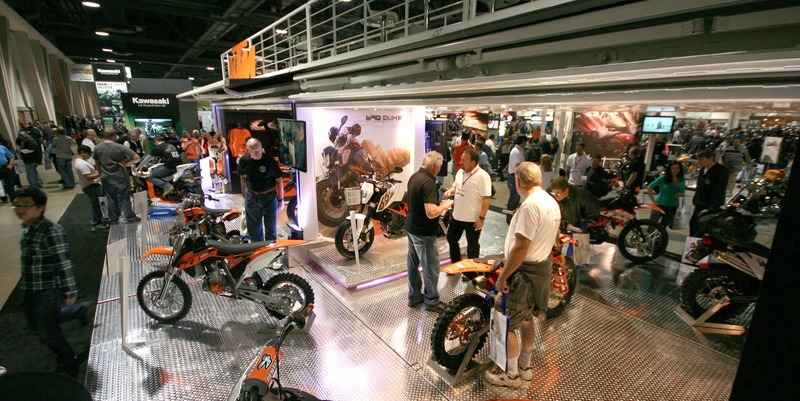 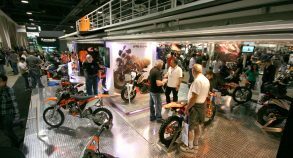 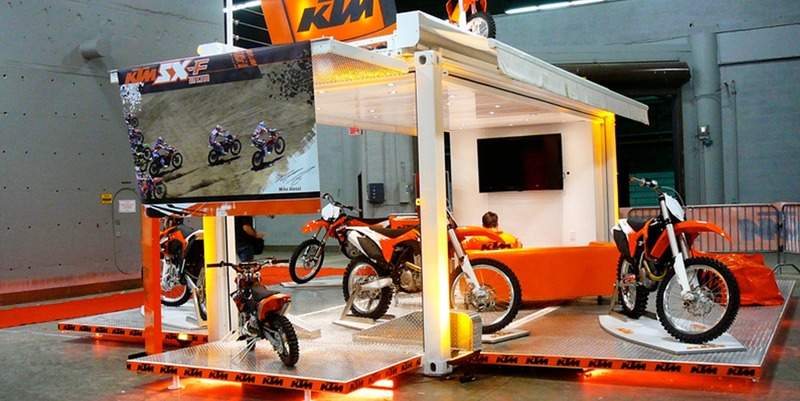 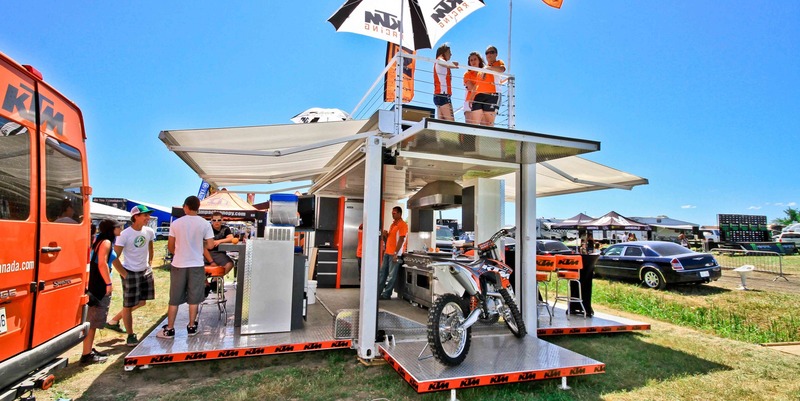 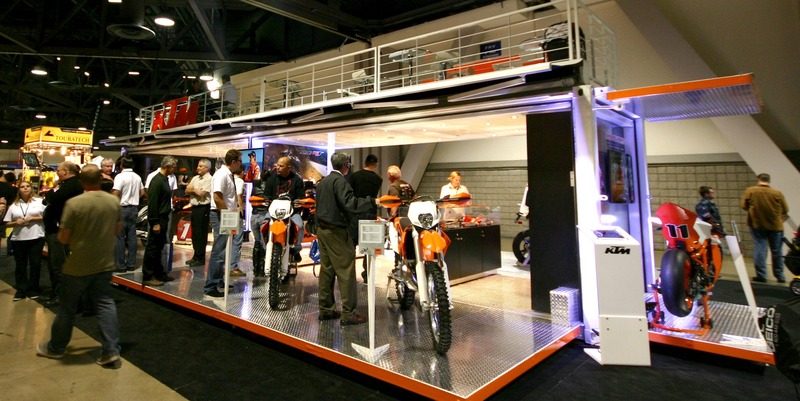 Using modified pop-up shipping containers to promote their motorcycle brand enabled KTM to get noticed, to stand out from the crowd and to get potential clients talking about their brand or products.